Effective communication skills are fundamental to success in many aspects of life. Lots of jobs require strong communication skills and socially people with improved communication skills usually have better interpersonal relationships. Effective communication is a key interpersonal skill and by learning how we can improve our communication has many benefits. Communication in the workplace can be either your best friend or your worst enemy. It will improve your overall workplace culture. Another positive is that good solid organizational communication eliminates barriers and resolve problems. While at the same time building stronger workplace relationships for increased productivity. There are many potential problems that can be caused by poor communication skills. Increased amount of employee turnover, high amounts of call outs, poor customer service skills, diminished productivity and the lack of focus. These are just to name a few. So why does poor communication in the workplace cause these issues. Some surveys and discussions have acknowledged that lack of information is a cause. In others words keeping people in the loop. Some have said they don’t feel important in the eyes of their employers. While others have stated not enough face to face interactions. Effective communication in the workplace plays a prominent role in developing long lasting employee motivation. One of many positive benefits gained from well established organizational communication is improved relationships. Improving relationships between management and staff is quite important and is often overlooked. Things will go smoothly when everyone is on the same page, understanding of goals and the direction a company is going. The best process of communicating here is well thought out emails that follow the chain of command and face to face interactions. Another positive result is that employees feel important. Many employees have complained about how they are just a number. Providing a little feeling and personality to emails will reverse this complaint. Use this technique when providing recognition or when it involves a sensitive issue. Express your concerns about their feelings and they will feel important. 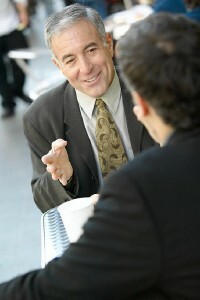 Face to face interactions work best here, though email communicating is also considered effective. There are barriers to effective business communications. Removing those barriers will improve your ability to motivate workers. Managers must understand and be able to recognize barriers that hurt the communication process. This is another positive result of proper communication in the workplace.